Today sees the launch of the Robin Hood Tax campaign by many of the key organisations responsible for the Make Poverty History campaign 5 years ago, including Oxfam, the TUC, ActionAid and Save the Children, backed by Comic Relief founder and film maker Richard Curtis. LCID would like to urge all party members to get behind the campaign, and at our Launch event last week called on Labour to back a Financial Transaction Tax in our next manifesto. Essentially, it’s a Tobin Tax, but this time with a more catchy name. Catchier still, they see the tax being split 50:50 between helping fight global poverty and climate change abroad – but also stopping cuts in crucial public services and reducing poverty in the UK. 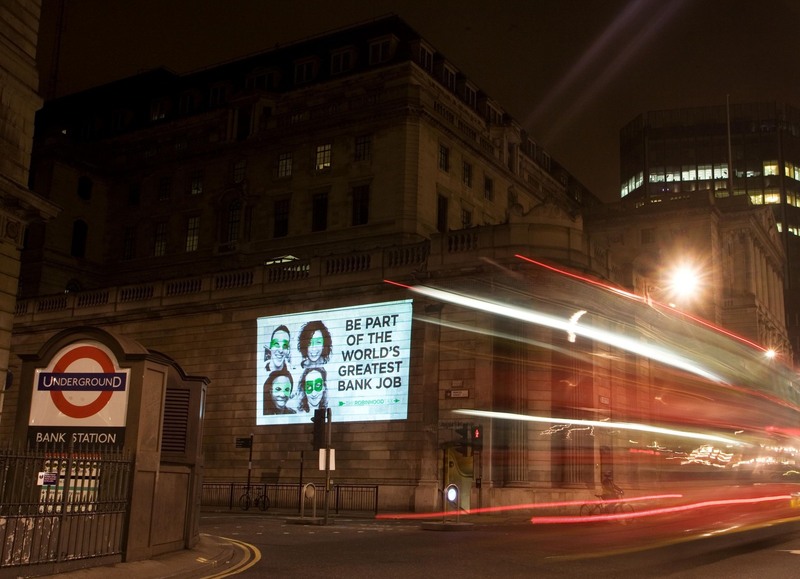 This could ensure the campaign gets widespread support from a public angry with bankers. A YouGov poll in November found that almost twice as many people would support (53 per cent) than oppose (28 per cent) a financial transaction tax on the basis that some of the money raised would be used to help people hit by the economic crisis in the UK and abroad. Meet the Government’s target to halve child poverty (£4bn). End the benefit trap that makes it too expensive for people to leave welfare and return to work (£2.7bn). Protect schools and hospitals at home and abroad under threat of cuts. Meet the Millennium Development Goals to cut child deaths by two-thirds, maternal mortality by two-thirds and tackle malaria and HIV/AIDS. Provide resources to enable a deal to be done on tackling climate change. The key question, however, is how much traction this transaction tax will gain, both in the UK and globally. What will be the response from all three UK parties? We hope the Labour will strongly back this campaign, and look forward to the response from Douglas Alexander. At out Launch last week, Mr Alexander was broadly supportive but stressed the need for global backing. The coalition stress that unilateral action could be taken, arguing that “the UK Government and European Union should start extending transaction taxes already in existence, such as the UK’s 0.5 per cent stamp duty on shares.” However, as they readily acknowledge, a global agreement is desirable. The Make Poverty History campaign in 2005 showed both the benefits and limitations of unilateral action. At the G8 debt was cancelled and UK aid substantially increased through a combination of leadership by the Labour Government and an active civil society ensuring support from the UK public. Meanwhile, the failure at the World Trade Organisation talks the same year was partly because there was not enough pressure from civil society in the US and across the EU outside of the UK. The organisations involved will be smart to that, already stressing that the Robin Hood Tax will be a global campaign. Labour Campaign for International Development wish them the best of luck. This campaign – along with the Global Poverty Promise campaign to enshrine 0.7% in law – are vital in ensuring we continue the leadership shown by Labour in the last 13 years and meet the UK’s obligations in the fight against global poverty. It’s possible that this campaign is conflating two issues. One is whether the interventions you mention above are worthwhile and worth raising tax for. Let’s assume the answer is yes. The second is whether you should raise this tax through a financial transactions tax. The answer to this is almost certainly no. Tax should be raised in the most uncomplicated form possible: income tax, VAT, capital gains tax and corporation tax are good example. The exception to this is where a distortion occurs, or where the government wants to disincentivise a particular kind of behaviour. In these cases the tax or government intervention should be targeted directly at the question in failure. For example, a tax on alcohol and cigarettes, or a subsidy to an infant industry. Unfortunately a financial transactions tax does not directly target a distortion (as far as I’m aware, that is). If you are worried about bank size, then regulate for it. If you are worried about excessive bank pay, then tax bank pay. If you are worried about excessive risk-taking, then stop lending implicit guarantees of default protection to the financial sector. I share your concern to alleviate poverty and nicrease productivity and incomes in the developing world. Unfortunately I don’t think this kind of tax is the best way of doing it.